Zest 4 Leisure Log Panel 1m x 150mm (Single) suited for lawn or border edging, constructed from FSC Certified pressure treated timber. 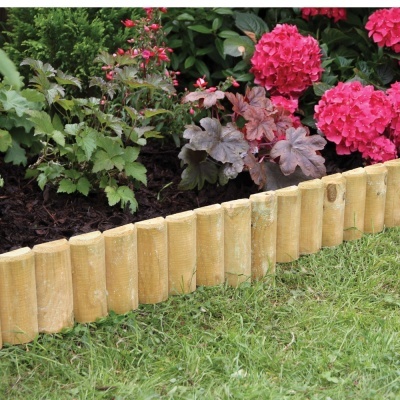 Attractive half log wooden fixed panel section from the high quality Zest range, are ideal for protecting borders from lawn mowings. Recommended low cost solution to partition different sections of your garden or plot, with easy push in stakes, for easy installation. 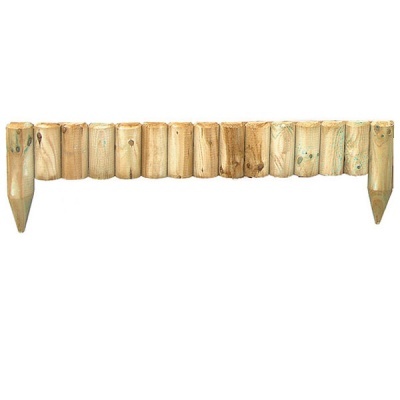 Zest natural rot-resistant wood log panel is supplied individually but can be added to again and again.